The Virgo personality is often very analytical and systematic; a real mixture of intelligence and logic. The Virgo personality loves studying, evaluating and methodically selecting everything that they do. They are obsessed with perfection! The Virgo zodiac sign is very intriguing yet fairly difficult to understand. Due to the complexity of the sixth zodiac sign, here are all the Virgo traits you need to know. What are female Virgos like? Virgos are born between August 24 and September 22 making them the sixth sign of the zodiac. 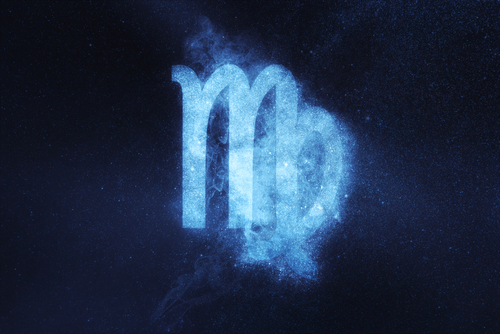 Virgo sign meaning: What does Virgo zodiac sign mean? The Virgo traits include being analytical, studious, calculating, methodical and critical. Naturally contemplative, Virgos often worry and absolutely hate being the center of attention. Virgos seek to feel useful, but sometimes get lost in the details. Your friends and family know they can count on you when they need you, Virgo. Romantically, Virgos tend to over-analyze things and listen to your head over your heart. Your ascendant sign also has an important influence on your personality. Figure out your ascendant with our rising sign calculator. Discover the influence of Virgo rising with our full astro report. Here are 10 facts you must know about the Virgo personality. We've selected 15 interesting facts on the Virgo personality you absolutely need to read! 'Virgos are cool on the outside and sensitive within'. Virgo is one of the Earth signs, just like Taurus and Capricorn, Virgo is reliable, prudent, organized, and loves to compartmentalize life. Even if other zodiacs are more active about chasing opportunities, Virgos always have their dreams and zodiac sign goals laid out. They know exactly what they want out of life. Virgos are very wise and give off an amazing aura. Under the influence of Mercury, Virgo has a particular place in the world of communication. At ease with ideas and words, they are so talented when it comes to communication and give great speeches. Virgo male traits include being practical, observant, and helpful. Perfection, trustworthiness, and honesty are some of the basic characteristics of a Virgo male. The Virgo male is very difficult to read and takes a while being opening up and relaxing around new people. Virgo females are often underrated because they are often perceived as lacking essential life experience. A Virgo woman’s personality is caring, understanding and sensible. A Virgo female loves learning from her day-to-day activities, because it helps her relate and connect to other people. A lot of Virgo women find their calling in care giving careers such as nursing. How well do you know the traits of the Virgo zodiac sign? Understanding Virgo's personality traits will help you build better relationships with Virgo in love, work and life. Let’s take a look at Virgo' 5 biggest positive and negative traits. Difficulties occur when a Virgo worries too much or is too critical of their surroundings and themselves. Virgo traits include being meticulous and demanding, which is why it's tough for them to accept other people. Virgos have trouble asking for help when they need it; a trait that doesn’t help them advance in life. Contrary to popular belief, Virgo is one of the most emotional zodiac signs. A Virgo personality is often considered to be a little cold and detached from their feelings and emotions. Virgo will always be reluctant to open up about their feelings in the early stages of a romantic relationship. In order to get to know a Virgo, you need to earn a Virgo's trust. Virgo is one of the most sensitive zodiac signs. Although they will never openly express how upset they are, when a Virgo is hurt it really plays on their mind. Virgo compatibility: What zodiac signs are compatible with Virgo? The most compatible signs with Virgo are Taurus, Cancer, Scorpio and Capricorn. Virgo and Taurus go together in love because Taurus is a reassuring and calming figure in Virgo's life and will help guide them through difficult times. The only downfall for this couple is Virgo's standoff character which could eventually push Taurus away. Who should a Virgo marry? Virgo and Taurus would make for a successful married couple. Virgo also matches well with either Cancer, Scorpio or Capricorn. Although, Virgos are completely incompatible with Aries, Gemini, Leo, Sagittarius, Aquarius and Pisces. If a Virgo marries any one of these signs, it could be a recipe for disaster. Love compatibility: Is Virgo and Virgo a good match? Two Virgos together will lead a wonderful life and will really help each other structure their love and feelings. Two Virgos together will unite practical minds, which means they'll definitely be on the same wave length. What's in store today? Find out in the Virgo horoscope today. What's coming up this week? Get up to date with the Virgo weekly horoscope.